On the surface, it sounds oddly counter-intuitive to suggest that President Muhammadu Buhari is the principal reason we’re contending with the intensified recrudescence of Biafra agitations. But he is. Here is why. First, it’s apparent that President Buhari nurses a deep-seated resentment against the Igbos for spurning his political overtures to them twice. When he first ran for president in 2003, he chose the late Chuba Okadigbo as his running mate in hopes that Igbos would vote for him en bloc. That didn’t pan out. But he wasn’t deterred. Again, in 2007, he chose the late Edwin Ume-Ezeoke, former Speaker of the House of Representatives in the Second Republic, as his running mate. The majority of Igbo voters still froze off his political advances to them. In 2011 and 2015 when he ran for president again, he was rejected by the majority of Igbo voters. Buhari is only human, so it’s understandable that he developed antipathy toward a people who serially repulsed him even when he made good-faith efforts to reach out to them. But Buhari doesn’t seem to appreciate the virtue of magnanimity in victory. That was why, during a Q and A session at the United States Institute of Peace in 2015, he told his questioner, who wanted to know what plans he had for the Niger Delta, that there should be no expectation that he would dispense equal favors to people who gave him only “5 percent” of their votes and those who gave him “97%” of their votes. That was a remarkably indelicate and divisive statement. To be fair to the president, though, he quickly realized the impropriety of his statement and said he was constitutionally obligated to treat every Nigerian equally. But psychoanalysts would call his initial divisive comment a Freudian slip, that is, an unintentional betrayal of his true feelings about people who didn’t vote for him. The embarrassingly undisguised Arewacentricity of his government and his visible exclusion of the southeast—and the Niger Delta—are instantiations of this fact. 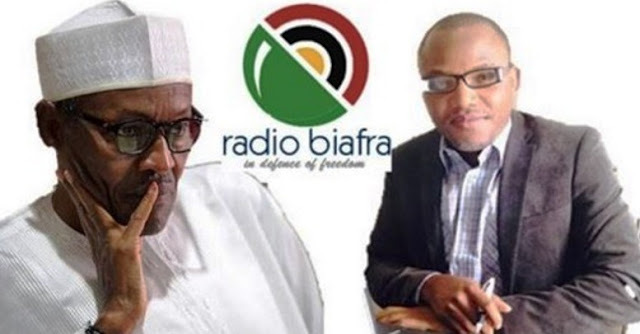 Another germinal push for the blossoming of pro-Biafra sentiments in the country was the astonishingly inept and brainless handling of Radio Biafra by the Buhari government. First, the government publicly bragged about “successfully jamming” the signals of the radio, which most people hadn’t even heard of. A few days later, the presidency issued a press statement debunking an alleged libelous statement the station made against President Buhari. Remember that the station was supposed to have been “successfully” jammed! As I wrote in my August 1, 2015 column titled “On Radio Biafra Again,” “This is an ideational war, not a physical one. If government wants to truly undermine the radio, it should first quietly jam its terrestrial signals (because the law requires that it does so) and set up an alternative (satellite or Internet) radio, man it with Igbo people who don't share the rebel radio's divisive and intolerant ideas, and sustain this for as long as the rebel radio exists. Government should never respond to the radio in an official capacity nor arrest any of its engineers or broadcasters. Nobody heeded my counsel. Radio Biafra grew in popularity and stature. The cause it propagated developed wings. With the arrest of its ignorant, comically vulgar, and mentally unstable leader by the name of Nnamdi Kanu and the ill-advised politicization of his bail, Radio Biafra went from developing wings to actually flying. It moved from the margins to the mainstream. Of course the brutal murder of unarmed, defenseless Biafran agitators by the Nigerian military not only alarmed the world, it also caused many hitherto indifferent Igbos to instinctively identify with Biafra. Further symbolic fuel for the flight of Radio Biafra’s cause was Buhari’s display of discernably stone-cold contempt for Igbo people in his body language during two well-publicized media interviews. During his first and only presidential media chat on December 30, 2015, Buhari infamously asked, “What do the Igbos want?” It wasn’t the question in and of itself that was the problem; it was the raw, unvarnished animus he exhibited in asking the question. No president should speak so contemptuously of any constituent part of the country he governs. In his interview with Aljazeera’s Martinee Dennis in Qatar in March 2016, Buhari also became manifestly agitated when the interview questions shifted to Biafra. He curtly declined to view a video of military officers shooting defenseless Biafra demonstrators and even countenanced the Nigerian military’s extra-judicial murders by saying Biafran demonstrators were “joking with Nigerian security and Nigeria will not tolerate it.” Well, see where that has gotten us now. Again, on September 13, 2016 when youth corps members serving in Katsina State paid him a courtesy visit, Buhari singled out the Igbos among them for censure over Biafra. “Tell your colleagues who want Biafra to forget about it,” he said. That was unpresidential and invidious, particularly because, at that time, Biafra didn’t enjoy as much sympathy in the southeast as it does now. What Buhari did was akin to asking a group of Muslim well-wishers who came to visit a leader to tell their terrorist co-religionists to stop terrorism. That’s called stereotypical generalization. As psychologists have known for ages, the potential for self-fulfilling stereotyping inheres in human relational encounters. The influential American eugenicist Arthur Jensen characterizes this as the "stereotype threat," by which he means that people who feel stereotyped tend to act according to that stereotype, or inadvertently authorize it, often in spite of themselves. This is happening with Biafra. Up until mid-2016, Biafra was on the fringe even in Igboland. Buhari has ensured that it has moved to the forefront. Nigeria can learn a lesson or two from America about how to deal with secessionist movements. There are several secessionist movements in the US, particularly in Texas, Vermont, California, Hawaii, and Alaska. But they are perpetually condemned to the fringes because the federal government starves them of attention so long as they don’t take up arms to fight the state. But Nigeria’s strategy of containing dissent is often a vulgar show of brawn with no brain, of emotions and no intellect. 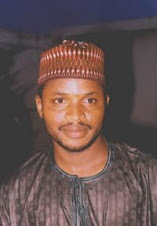 In my July 18, 2015 column titled “Why Buhari Should Leave Radio Biafra Alone,” I advised government to starve Radio Biafra of official attention but stealthily dilute its propaganda if it was convinced that it posed a credible threat. Unfortunately, that’s late now.